If you’re looking for a distinguished, rural and peaceful community to call home then arrive at High Grove! 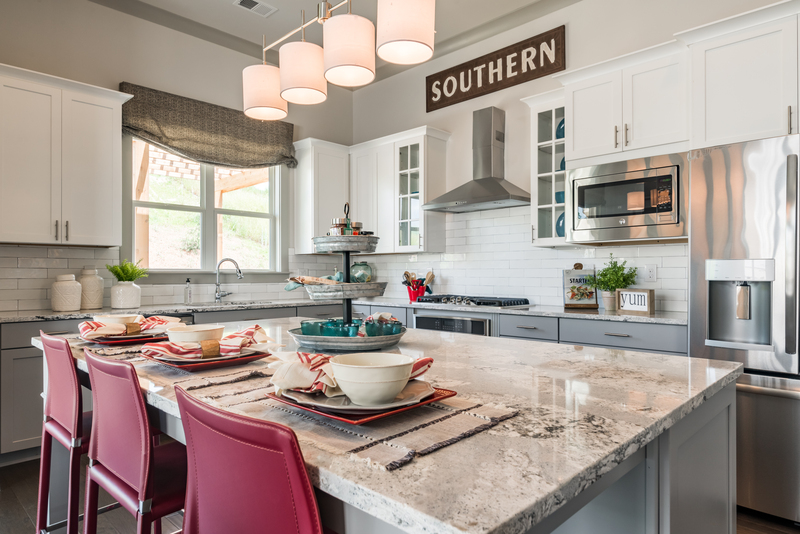 At High Grove, you will find new homes designed and built by Stonecrest in a scenic setting that brings together beautiful views with the convenience of easy access to Alpharetta and Crapapple. New homes at High Grove by Stonecrest combine timeless architecture and unique designs that are adaptable to today’s ever changing styles. Explore spacious floorplans, gourmet kitchens, available first floor owner’s suites and more. Two of High Grove’s available homes by Stonecrest are ready for move in now! Homesite 8, located at 108 White Oak Trail, is a 3,314 square foot home offered at $499,900. 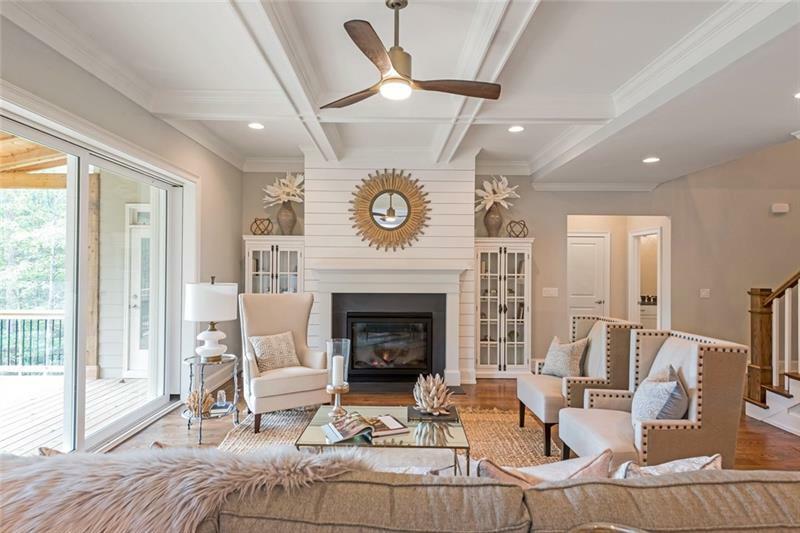 This home is modeled after the Stonecrest Keeneland floorplan with an owner’s suite on the main floor as well as three additional bedrooms and three and a half bathrooms. The main floor also boasts hardwood floors throughout, granite countertops, luxury kitchen appliances, an entertainment room and side entry garage. The second floor consists of two bedrooms of generous size and a media room. Enjoy a back deck and a yard large enough to house a private pool. Homesite 9, located at 110 White Oak Trail, is a 3,915 square foot home offered at $539,900. Modeled after the Belmont floorplan, this home consists of four bedrooms and four full baths with a full basement. A guest suite occupies the main floor for privacy near the mudroom entry and three-car garage. Hardwood floors run throughout the main floor while carpet lays the floor upstairs. Two bedrooms including the owner’s suite and a rec room occupy the second floor. A private pool and deck can be placed in the spacious backyard to enjoy with friends and guests. High Grove is a short distance from the Hawks Ridge Golf Club and the highly sought-after Creekview High School – even more of a reason to enjoy living in a Stonecrest home at High Grove. To learn more about the available Stonecrest Homes at High Grove and for directions, click here.